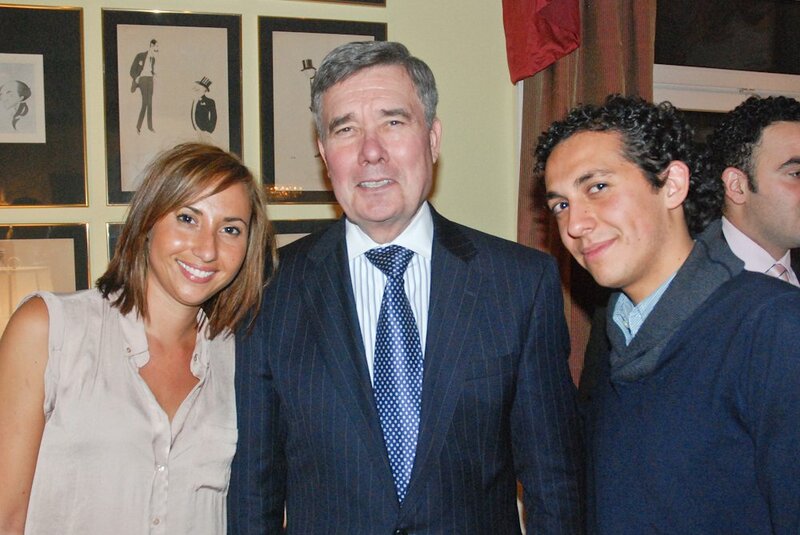 I met the US Drug Tsar Gil Kerlikowske recently. It was at a reception at the US Ambassador's residence in Vienna during the UN Commission on Narcotic Drugs. This is an annual event, and a welcome opportunity for the NGOs attending the CND in an official capacity (Transform has ECOSOC special consultative status) to meet various US figures and ONDCP staff. I asked how the potential tensions between state, federal and international law might play out if one of the US State ballot initiatives to legalise and regulate cannabis/marijuana was passed by voters. Kerlikowske's answer was to list a number of arguments against legalisation - all familiar to those who followed the debate around Prop 19 in California last year. I responded by saying that I understood the arguments for and against, but was specifically interested in what would happen in terms of the conflicts between state, federal and international law, given the the likelyhood that one of the various proposed state ballot initiatives would pass in 2012 (the California initiative is set to rerun, as well as initiatives in Colorado, and other states). This time Kerlikowske pointed out that 56% of voters in California had been sufficiently concerned about Marijuana abuse and drug driving to oppose the 2011 prop 19 initiative. So I essentially repeated the question; quite aside from the debate and public opinion, what is the Federal response or sequence of events, should such an intiative actually succeed? - noting that this was a reasonable question given how close the Californian vote had been and the likelyhood, probable certainty that one of the other initiatives would succeed in the near future. This time Kerlikowske responded that he didn't 'deal in hypotheticals' - a response familiar to Prop 19 debate watchers. So, pointing out that those in policy making naturally had to deal with hypotheticals as a matter of routine, I asked a slightly rephrasesd question; had the ONDCP done any scenario planning to explore this particular hypothetical, given its likely imminent move to non-hypothetical status. Kerlikowske replied that he 'couldn't comment'. Whatever Kerlikowske's views, and whatever evidence he is presented with (as he is not allowed to let the ONDCP gather any) he is duty bound to proffer a blanket opposition to any form of move to legally regulated markets, for any reason. There is something fundamentally obnoxious and anti-science about this wording, contained as it is in an Act of Congress, especially given the fact that Kerlikowske's statements on legalisation are often superficially factual (as indeed is the risible DEA guide 'Speaking Out Against Legalisation'). How balanced can we expect this analysis to be if all research on non-drug war options is forbidden and all comments subject to Congressional diktat? Foriegn Policy: You've made your views on legalization very clear in the past. How do you respond to the growing number of former Latin American leaders -- former Mexican President Vicente Fox, most recently -- who have come out in favor of legalization or at least a radical overhaul of the current policy? Gil Kerlikowske: Isn't if funny how people who no longer have responsibility for anyone's safety or security suddenly see the light? I think it's not a lot different from what we've heard in recent years in the United States, which is: We've had a war on drugs for 40 years and we don't see success. If we have a kid in high school, they can still get drugs or there's drugs on the street corner. So legalization must be an answer. What we in government fail to do is to show that there really are quite successful, cost-effective programs we can use, so we don't have to go from the "war on drugs has failed" to "let's legalize." By the way, I've never seen any of the legalization arguments that say, here's how it will work and here's how we'll regulate it. Heaven knows, we're not very successful with alcohol. We don't collect much in tax money to cover the costs. We certainly can't keep it out of the hands of teenagers or people who get behind the wheel. Why in heavens name do we think that if we legalize marijuana, we'd have a system where we could collect enough tax revenue to cover the increased health-care costs? I haven't seen that grand plan. The first comment from Kerlikowske here is, I would suggest, an entirely misplaced and innappropriate ad hominem aimed at Fox and other former public servants who differ with Kerlikowske's (legally imposed) prohibitionist perspective. More importantly, from Transform's perspective, is the comment about never having seen 'any of the legalization arguments that say, here's how it will work and here's how we'll regulate it.' As Transform's widely distributed and cited 2009 publication 'After the War on Drugs; Blueprint for Regulation' addresses precisely this question in some detail (50,000 words, 215 pages), I found this statement a little surprising. 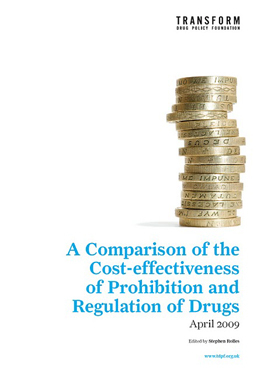 What's more Transform's efforts on this front have been built on previous work including ‘A Public Health Approach to Drug Control’ (2005) by the British Colombia Health Officers Council, and Effective Drug Control: Toward A New Legal Framework' (2005) by the King County Bar Association. The latter is based in Seattle, and produced the document whilst Kerlikowske was Seattle police chief. 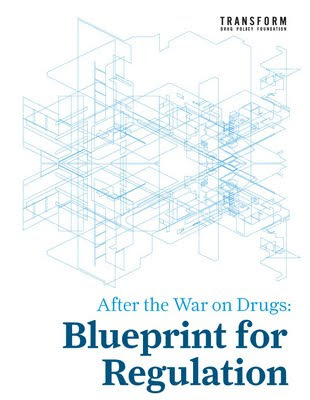 We have sent Kerlikowske a letter drawing attention to this work, and a copy of Blueprint, which he is presumably allowed to read - even if he must do so in his own time and never mention it in public. Good luck banging your head against that one! Do not expect any thought to go into any senior civil servants' words or actions except "How can I deliver what I am told to achieve?" (which, uncomfortable as it is, is probably the right way round in politics). Unfortunately these people are actually used to protect the actual decision makers from intelligent influences like yours. ...and of course he doesn't read materials himself unless an underling has read and approved them as being in line with what he wants to read. But... you already know they are just a gang of criminals protecting their turf, don't you? What a game. People who is not allowed to talk about what they are supposed to talk (drug reform or the absolute corruption that opposed such) meeting to talk... about something else! 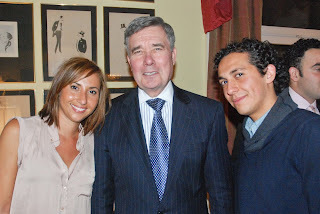 i was thinking, what about a campaign giving a cash prize to anyone who finds out an strategy to transform kerlikowske into a righteous, conscientious, decent, good, ethical, just, virtuous human being? anyone coming up with a successful strategy would receive a big pot of money collected from donors. Someone should ask Gil if he thinks illegal drugs could ever be legalised, for any reason. For whatever reason. Ask him if he thinks scientific knowledge about drugs have changed since the 1971 mandate, and ask him whether this new knowledge should effect a revision of the law. It isn't that Gil isn't intelligent, I mean how else could he obfusicate, lie and mis-represent so consistently if he didn't know what he was doing. The fact that he probably knows it doesn't work and understands the argument makes it even worse!! Whatever you ask he will deflect or just ask a new question and reply with policy rhetoric.. he is even mandated by policy to not discuss legalisation!! Although I wonder what would happen if he did accidentally slip up, would he lose his job, would it be breaking the law under his job description?? The real crime is the way in which the system is set up to ignore/suppress evidence to further the policy in light of its many, many failings.. This time Kerlikowske responded that he didn't 'deal in hypotheticals' - a response familiar to Prop 19 debate watchers. This is ripe! Ha! For sure it was a "hypothetical" that prohibition could control drug use when they enacted these evil laws. And it's NOT hypothetical one bit that alcohol prohibition was a freaking disaster. Notice how he invokes "heaven" so often. He, Obama, Calderon, the DEA, etc… all think they are "doing the work of God." Boy are they in for a surprise! As usual their basic premises rest on lies and are undermined by something called reality. They set themselves above the laws of nature, laws of man and above God. It really is head-shakingly-shameful they insist on promoting the lie that drug use is an all-or-nothing behavior. So they cling to the Rude Farce Mirage (Drug Free America anagram) that it's better to spread as much shame, fear, and destruction as possible to make it seem like that is better than the supposed only other alternative of everyone being high all the time. This is the deception they continually try to push on others, that the world is just black and white. "We either 100% prohibit these substances, or else the only other alternative is to let people be high all the time." The reason I'm harping on this is that I know some from the religious community have made accusations and could become more vocal about this. So I wrote an essay about it already, to try to enlighten them. But my logic does not rest on religious precepts, I just happened to tie it into Biblical teachings so I could nip their accusations in the bud. AND I have to admit it must feel pretty insulting to hear him say he's never heard of a plan after all the work y'all have done.